Goodreads: Thirty-two-year-old Amy Denison volunteers at Glory's Place, an after school program where she meets seven-year-old Maddie, a precocious young girl who has spent her childhood in foster care. Unbeknownst to Amy, Maddie is a mini-matchmaker, with her eye on just the right man for Amy at Grandon Elementary School, where she is a student. Amy is hesitant - she's been hurt before, and isn't sure she's ready to lose her heart again - but an unexpected surprise makes her reconsider her lonely lifestyle. 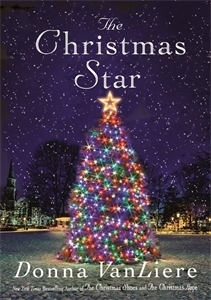 As Christmas nears and the town is blanketed in snow and beautiful decorations, Maddie and the charming staff at Glory's Place help Amy to see that romance can be more than heartache and broken promises. Kritters Thoughts: The 9th in a series that is all Christmas stories and I didn't know when I started this story that I was midstream in a series and I wish I had, hence me mentioning it right off the back. Throughout the story I felt as though I was missing some back story for some of the characters, so I wished that maybe I had started this series in the beginning, so I wanted to mention this before I started my full review. In this book, there are two main characters. Amy Denison who has just started volunteering at an after school program helping with kids who don't have the best home life and need some after school care for one reason or another. Gabe works at the local school and one of the students who also attends the after school program wants to hook him up with the new volunteer, but nothing goes as easily as it should! This was a sweet holiday story and at more of the novella length it was quick and simple and perfect for a holiday afternoon when life is a little extra busy. I am debating about going back to the beginning and reading a few more of these Christmas books.